Watch video on YouTube Almost no practices fail. Something worse generally happens, the practice owner gets tired. They get tired because they have succumbed to the Tyranny of the Urgent, the daily grind, instead of creating their own business rules by focusing on the Priority of the Important. 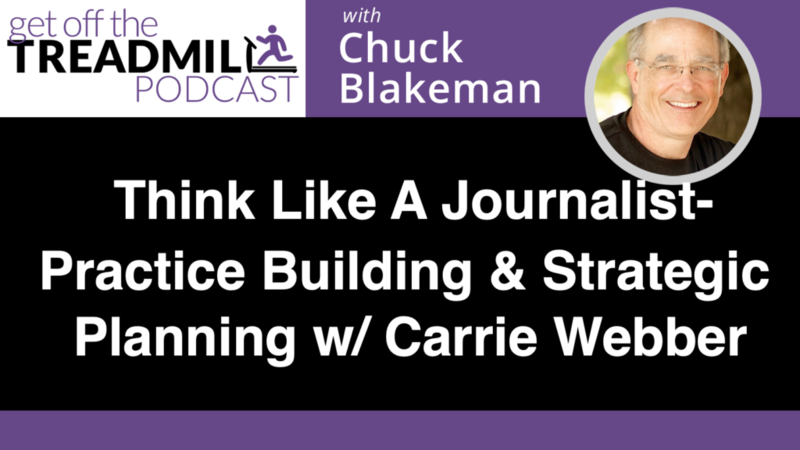 How do you get off the treadmill and create a practice that runs when you are not there? What does freedom look like? Freedom is the ability to choose what to do with my time, my money, and my energy. 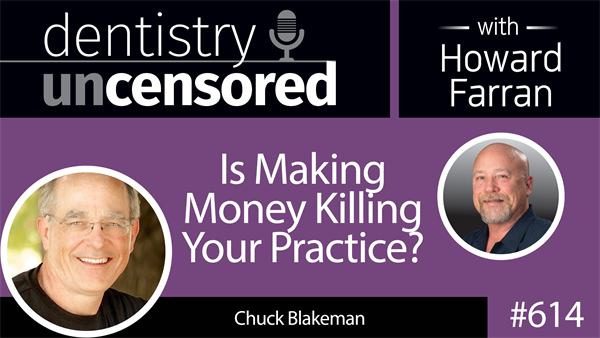 Most practice owners are at best, rich, but very few are wealthy. A wealthy person has control over their time, their money and their energy. A rich one only has money. How do we solve this? The Big Mindset Shift. There are Seven Stages of Practice Ownership. Most practice owners never get past Stage Five Stability, where they make plenty of money but are hostages to their practice. The Big Mindset Shift is elegantly simple, but takes a deep commitment to personal freedom, and a commitment to building a practice that operates on days and weeks when you are not there. 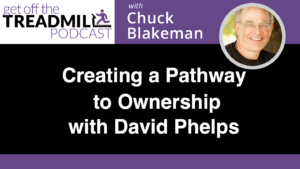 Listen to this presentation and learn the Four Building Blocks of any great practice, the Seven Stages of Practice Ownership, the Practice Owner’s Game, and the power of Fredom Mapping to map your way off the treadmill. 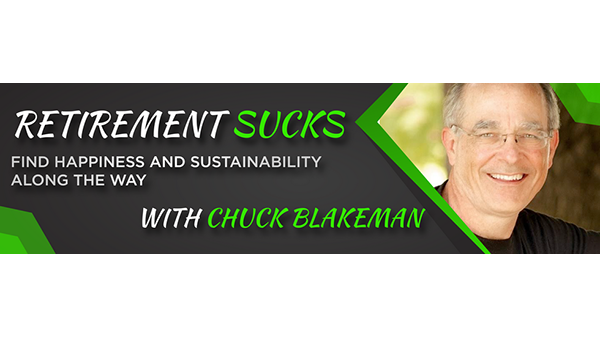 This special podcast is a talk done very recently by Chuck in New York City to highly successful internet business owners. 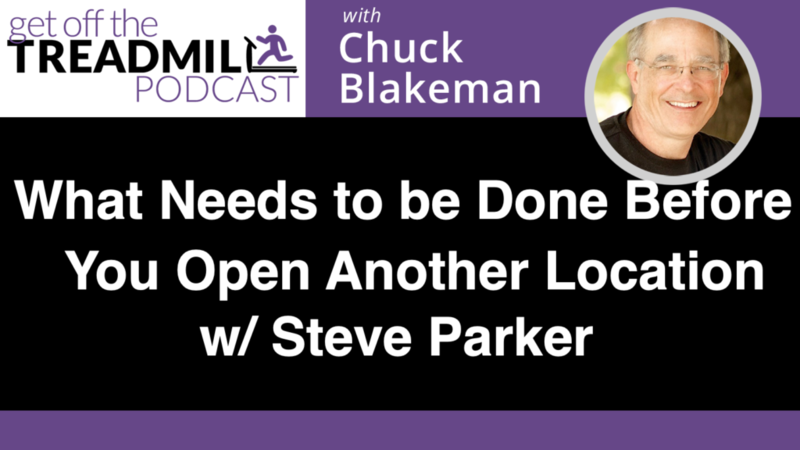 Even though dentistry is Chuck’s sole focus, others continue to seek him out, and everything in this podcast will apply practically and specifically to your practice. 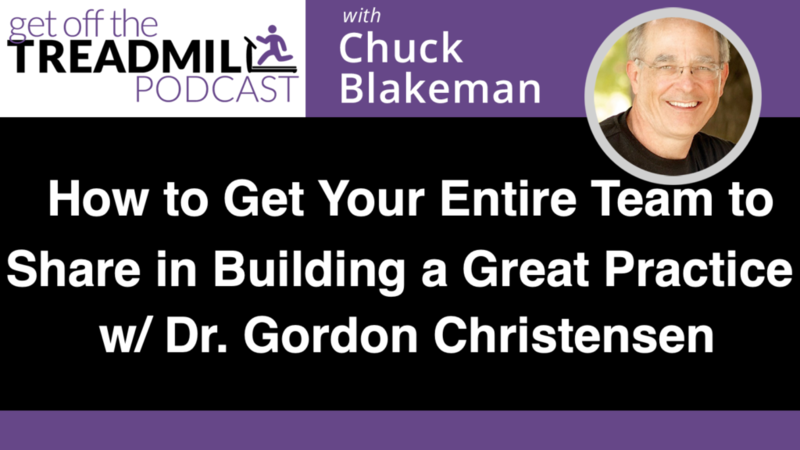 Listen in and learn how to make more money in less time, get off the treadmill, and get back to the passion that brought you into dentistry in the first place. We have been talking about how to build your team, and it all starts with the ad that you put out. When you are looking to hire, how do you design the ad? Are you trying to make certain people run away from you, and other run to you? Dr. Paul Etchison is here to help explain why this is such an important step. Beyond that, which is more important, skills or attitude fit? Are you actually hiring based on what you say is most important to you? This and more on today’s episode! We call these Distributed Decision-making, or DDM Teams. There isn’t a profession or industry more well suited to be built around DDM Teams. Whether you have a practice of eight people or eight locations, this way of organizing your practice will reflect not the organizational design of the future, but the way great compaies are organizing right now in the emerging work world. 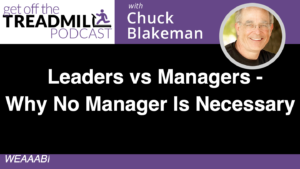 DDM Teams don’t need a manager, who tells them what to do. They need a leader who can cast vision, encourage and support, but who most importantly allows and REQUIRES that decisions be made locally where they have to be carried out. 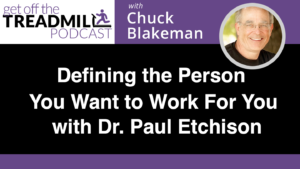 If you are going to rehumanize your practice and give everybody their brain back, it starts with localized decision-making by DDM Teams, not in a vacuum, but also not made by the dentist or office manager who then just tells people what to do. In a traditional dental office, it can be a half dozen to three dozen conversations between managers of different departments before anything gets addressed, and two people who need to talk would never think of doing so without involving the office managers. 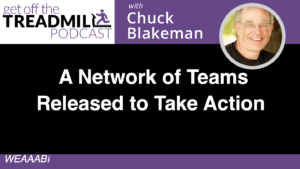 In a DDM environment, people are trained to talk whenever they need to, for the sake of the practice, to uphold the mission, and to simply get the right thing done. Politics becomes a thing of the past. This isn’t a new idea. Bill Gore, founder of W. L. Gore (Gore Tex, 10,000 people, $3billion annually), wrote his Lattice Organization paper in 1967, describing how Gore has organized since the late 1950s through today. Managers don’t exist; teams hire, fire, develop their own processes and metrics, and work with strategic leaders to push the companies Mission forward. They are one of hundreds of large organizations and thousands of smaller ones that are racing to embrace the Participation Age DDM model. 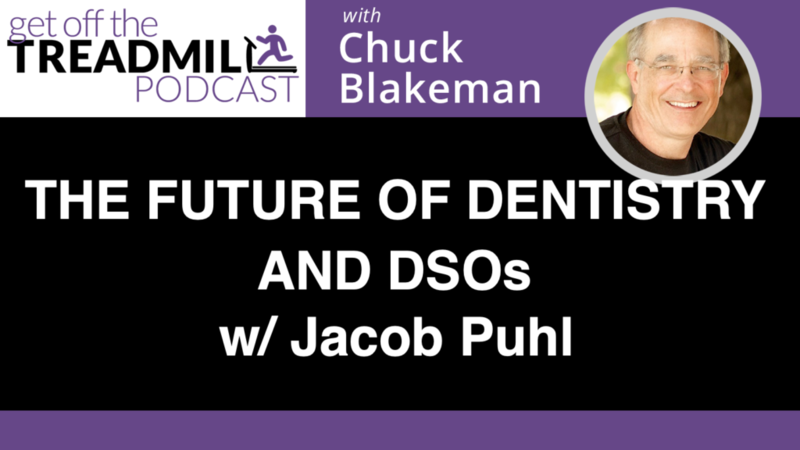 It is the new/old way to organize and operate a dental practice. 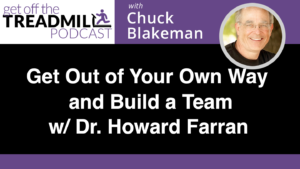 Dr. Howard Farran and I do a deep dive into what it means to build a team. So many dentists are holding themselves back by refusing to believe that those around them have a brain. You CAN, and MUST delegate, and to feel comfortable doing this, you need to do a couple of things. First, you must fill your office with those that you believe can think for themselves, and push your practice forward. Second, you must actually give them autonomy to do so. This and much more on today’s episode! We brought down the house with this one folks! You learned in dental school that in order to make more money, it took more time in the operatory – you traded time for money. That is the Income Producer’s Game. 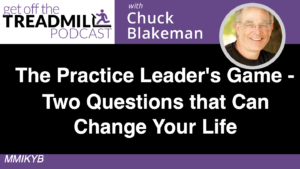 Practice owners who are playing the Practice Leader’s Game learn how to make MORE money in LESS time, get off the treadmill, and get back to the passion that brought them into dentistry. 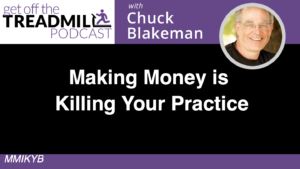 It doesn’t have to take thirty years to build a practice that makes you money when you are not there. In three to five years you can regularly be taking time off while the practice is open and making money without you, and decades before you retire you can reach your Ideal Lifestyle. BUT – you have to deal with the Tyranny of the Urgent, and focus instead on the Priority of the Important. If you don’t, you will wear out. Practices don’t fail, dentists get tired and get stuck at Stage Four Stability, which brings in great money and steals all your time. 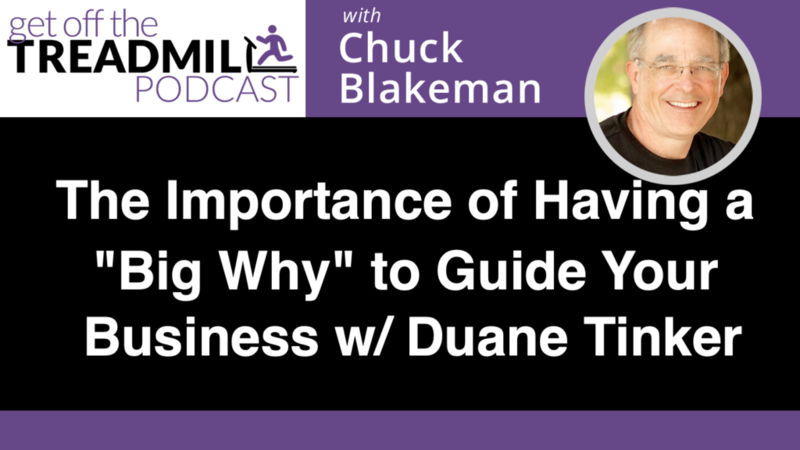 This podcast will show you how to turn all that around. Stop intending to work hard and intend to build a practice that makes money when you’re not there. 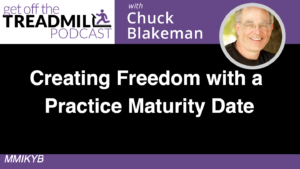 Put a Practice Maturity Date (PMD) on when you intend for that to happen, start playing the Practice Leader’s Game, and build a life of freedom. Most dentists are just rich – they have money. Intend to be wealthy, with both time and money, then use those resources to build a life of significance! Get off that treadmill. Money, we need it, but does it make you happy? 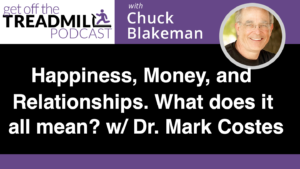 Dr. Costes shares his story, and how the moment he realized that he had a million dollars in the bank and had net a million dollars in a year, was the most unhappy he had ever been. We talk freedom mapping, goal setting that counts, and pulling it all together to realize your ideal lifestyle. Goals are incredibly motivating, and important to pull you through the rough times. However, do you have a big why? A goal that can never be checked off, thus continually pulls you to bigger and greater heights. Dr. Mark Costes is founder of over a dozen successful dental clinics, the Dental Success Institute, author of the International and #1 Amazon Best Selling book Pillars of Dental Success, host of The Dentalpreneur Podcast, and most recently a founder of The Dental Success Network. Mark and his wife Leslie have three sons; Bryce, Brendan, and Brady. They live in Prescott, AZ. 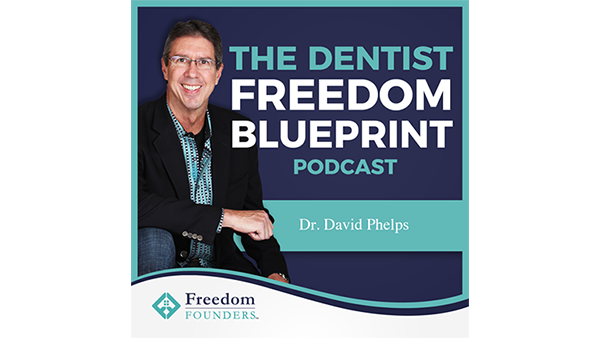 Pillars of Dental Success is a roadmap that any dentist can follow to exponentially increase the profitability and productivity of his or her dental practice. The systems and strategies covered within the pages of book represent the culmination of struggle, failure, and redemption during Dr. Mark Costes’s journey from one struggling practice to a six practice multi-million dollar dental empire. Some of the topics covered in this book include: – How to FINALLY get your practice’s overhead and cash flow under control. – How to create airtight systems that will maximize the performance of every department of your organization while decreasing chaos and stress. – The step-by-step system for getting a flood of new patient referrals from your existing patient base. – The advanced marketing strategies that will neutralize the competition in your market and drive a flood of new patients into your practice. – The simple and effective approach to reactivating “lost” patients. 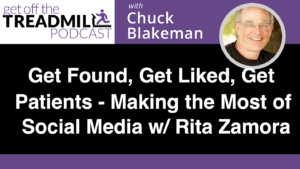 – How to position yourself as a local celebrity and community leader. Dr. Costes’s refreshing approach to the business side of dentistry offers straightforward and practical solutions that can be implemented immediately. If you’re interested in taking to the next level and beyond, you owe it to yourself to read this book! Why do managers exist? The assumption, born in slavery, through serfdom, through the military and into the Industrial Age Factory System, was that managers are necessary because people will not produce as much without them. The notion is that managers justify their existence by causing people to produce so much extra that they cover their own salary and bring extra profit to the practice. There isn’t a single study that supports the assumption that managers make people more productive. To the contrary, research shows that fifteen of the twenty reasons someone will leave their job are directly related to their manager. Remove managers and you remove 75% of the reasons someone will leave you. And they are more likely to reduce productivity than to increase it. So why do we put up with this antiquated organizing anchor? For 125 years research paper after research paper reveals that the manager role is fraught with problems, but rather than look for another solution, we have instead slapped lipstick on the pig for over a century in a vain attempt to make a model work for the emerging work world that was designed to control slaves, serfs, and unwilling militia. Distributed Decision-making teams, or DDM teams, are the solution. Adults don’t need to be managed, only led – a VERY different thing. Management is nothing more and nothing less than pure, unadulterated codependence. The manager needs someone to tell what to do, and the team member, who is used to being treated like a child, is glad to make no decisions. Managers tell. Leaders Ask. Treat people like adults, eliminate managers, turn your office manager into an office leader, get them out of the day2day, believe that people will step up, and watch your team become more productive.